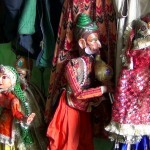 Traditional puppetry was once the main occupation of most of the residents here. 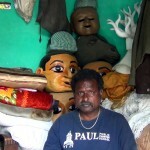 The craft includes making puppets by hand. 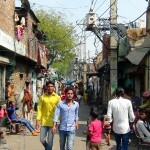 A view from the outside of Kathputli Colony. 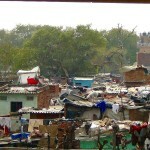 The settlement lacks many basic services, like garbage collection, potable water and proper sanitation. 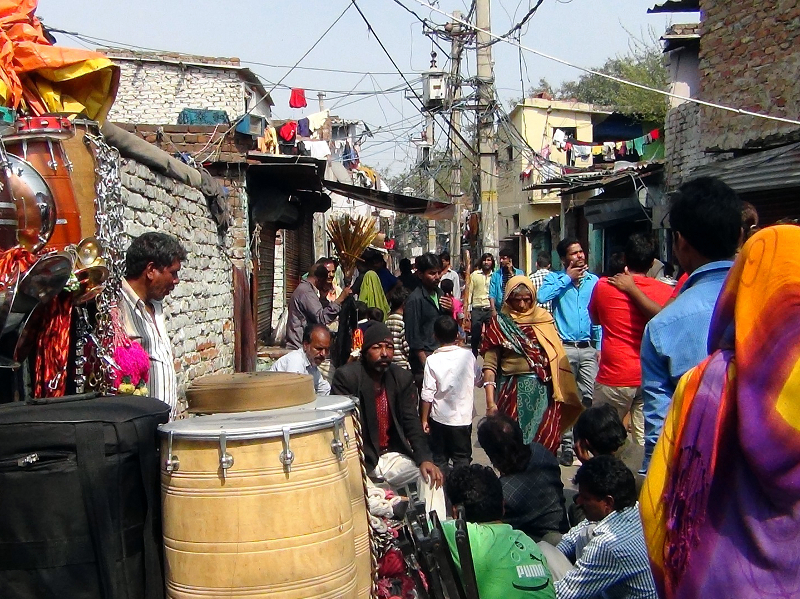 A street inside of the colony where vendors sell instruments. 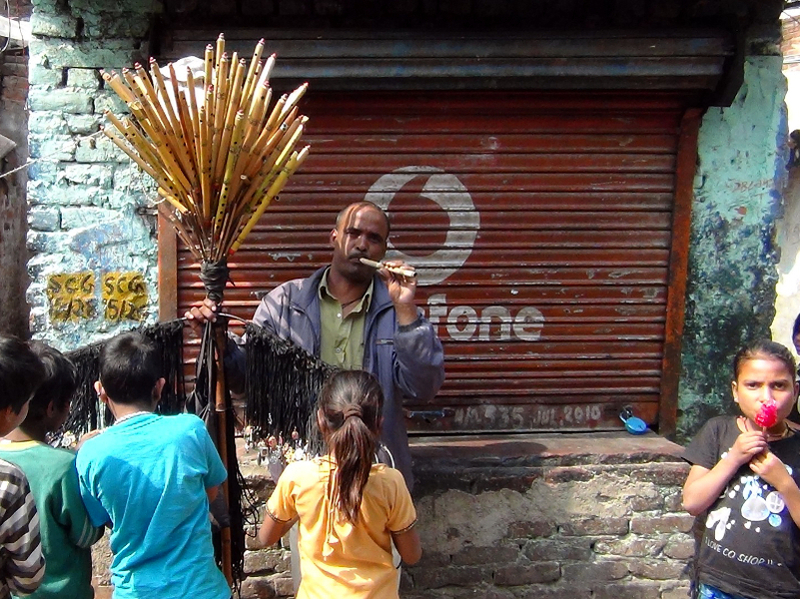 A flute maker selling flutes. 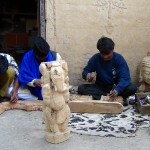 The settlement is home to some of India's most skilled traditional artists. 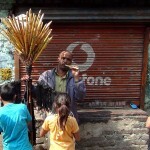 Magician Aziz Khan holds a Guinness world record for the great Indian rope trick. 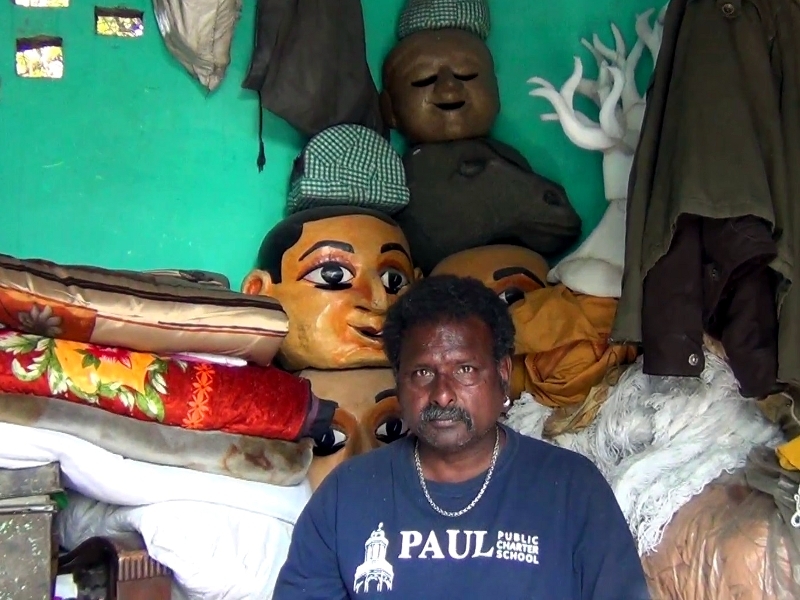 A handful of dedicated puppeteers like Puran Bhat are still struggling to keep alive what many consider to be a dying art. 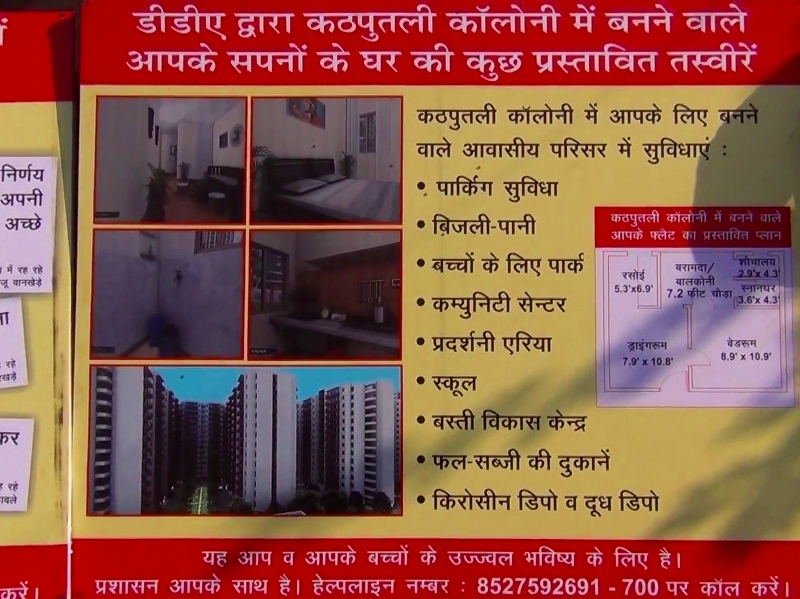 A poster showing what the proposed development is supposed to look like once complete. Many of the colony's residents want their living conditions to improve, but say their way of life is incompatible with life in a high rise apartment building. 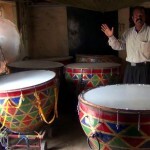 Musicians, like this drummer, need ample space to store large, traditional instruments. In a patio, a family prepares a meal over a wood burning stove. 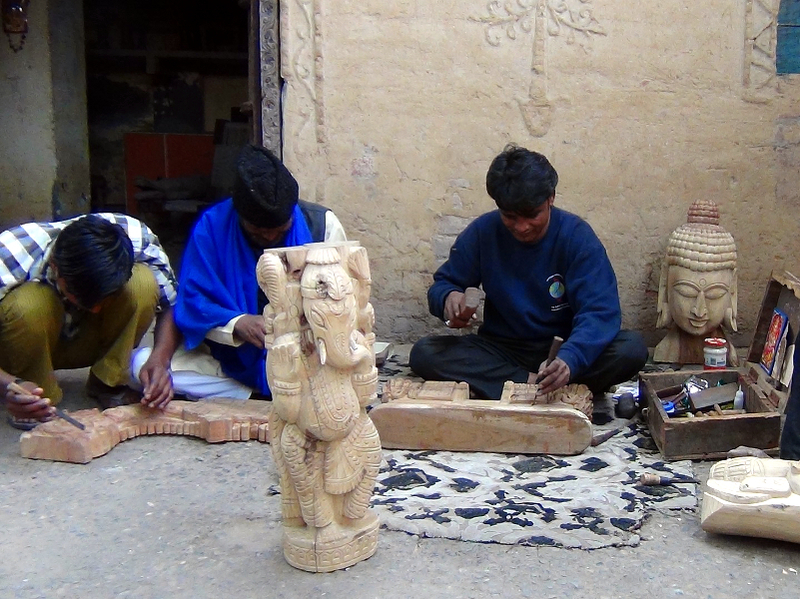 Kathputli Colony wood sculptors at work. Residents have been told they'll be moved to a transit camp for two years before resettlement in the proposed development. 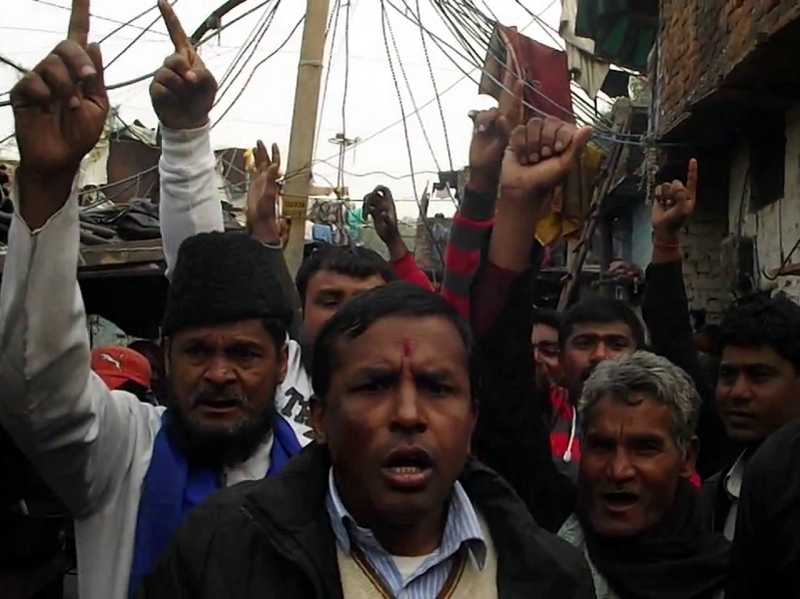 Eviction notices have been issued, but local authorities have not yet used force to carry them out. 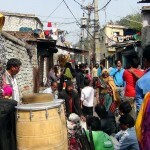 For now, Kathputli Colony's residents have been left hanging, much like the puppets many of them bring to life. 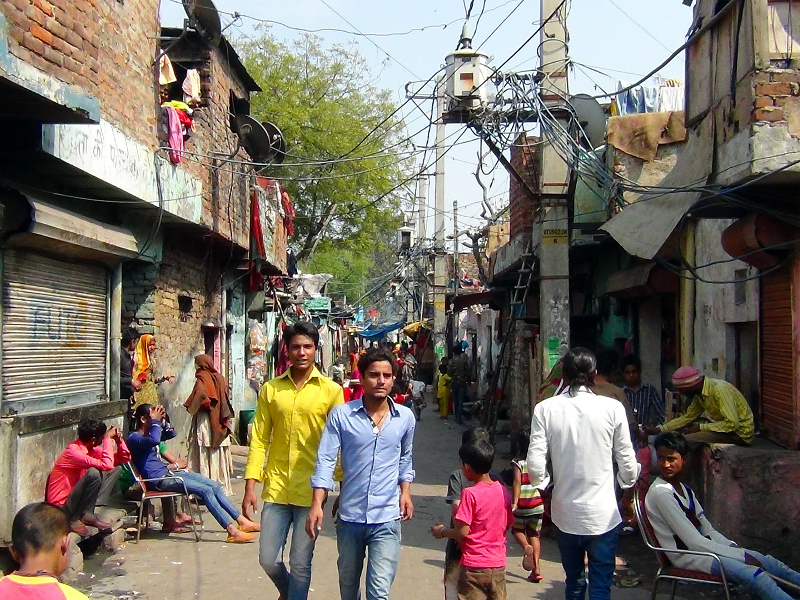 Kathputli Colony, a settlement in the western part of New Delhi, is home to more than 3000 families of puppeteers, magicians, acrobats, dancers and musicians. 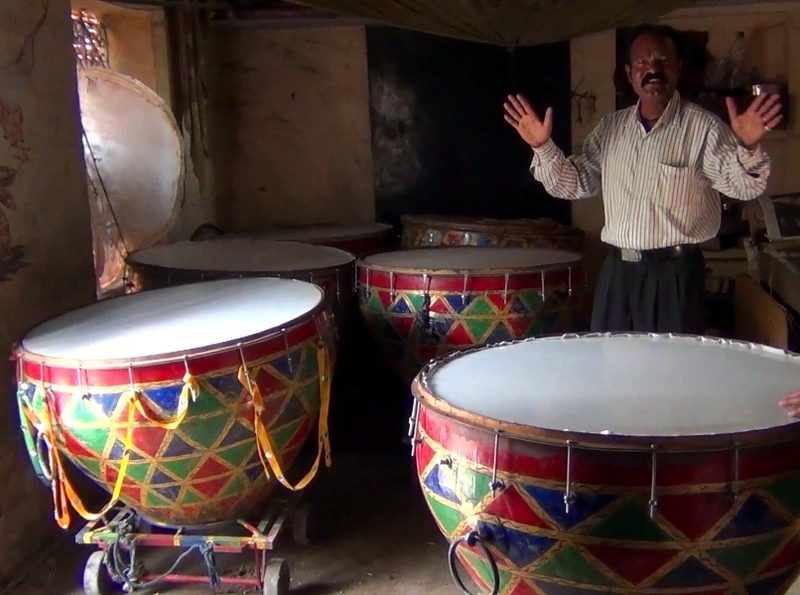 Some say they make up the world’s largest community of street performers. Their settlement, however, has been slated for demolition to make way for a development of high rise apartments and a shopping mall. The local government and the developer have told residents that they will be given housing in the new development, but many are skeptical of the promise and reluctant to leave the artists’ community some have called home for decades. 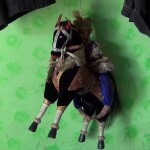 All photos by Bismillah Geelani. Click on any image to launch the slideshow. 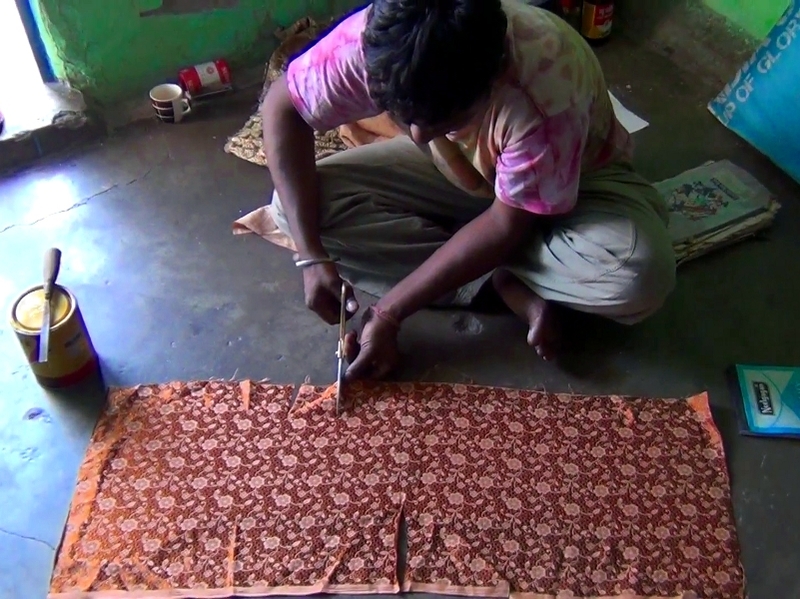 The settlement is home to some of India’s most skilled traditional artists. 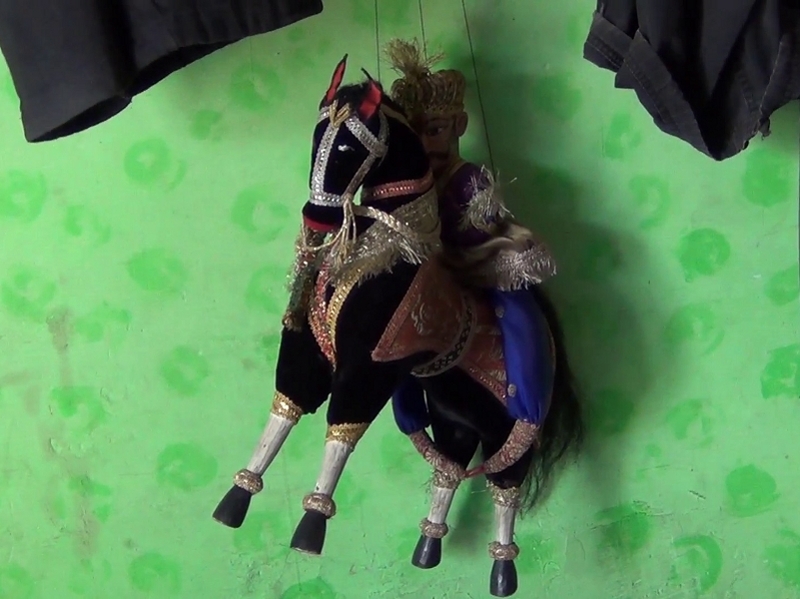 Magician Aziz Khan holds a Guinness world record for the great Indian rope trick. 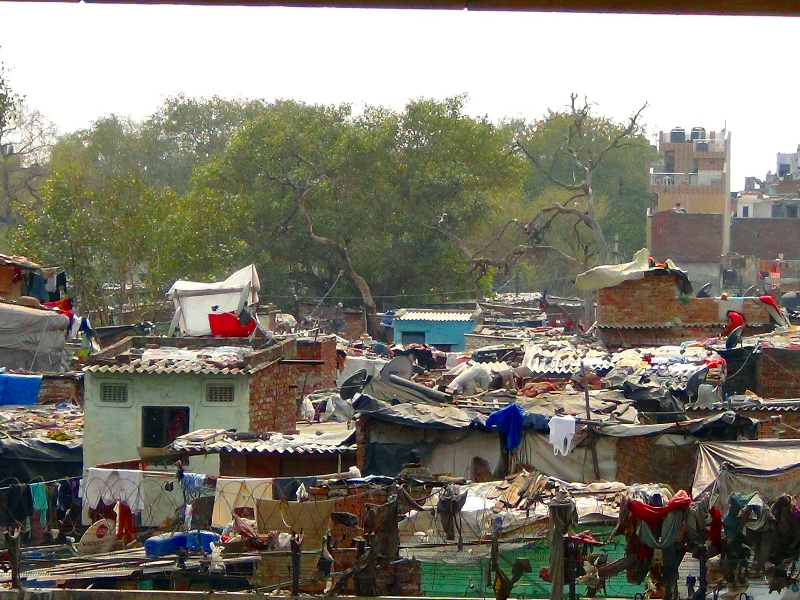 Many of the colony’s residents want their living conditions to improve, but say their way of life is incompatible with life in a high rise apartment building. Residents have been told they’ll be moved to a transit camp for two years before resettlement in the proposed development. 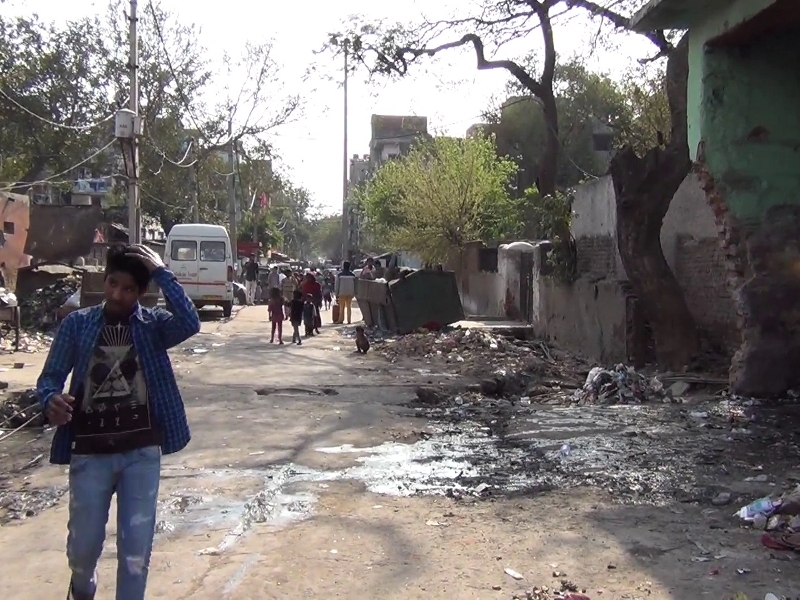 Eviction notices have been issued, but local authorities have not yet used force to carry them out. 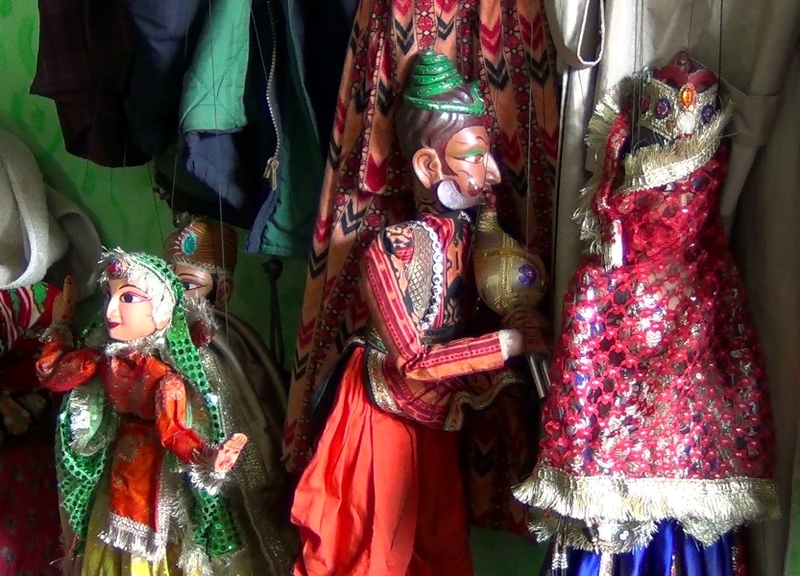 For now, Kathputli Colony’s residents have been left hanging, much like the puppets many of them bring to life.